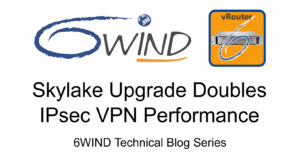 Ready to Upgrade Your vRouter to Skylake for 2X IPsec VPN Software Performance? 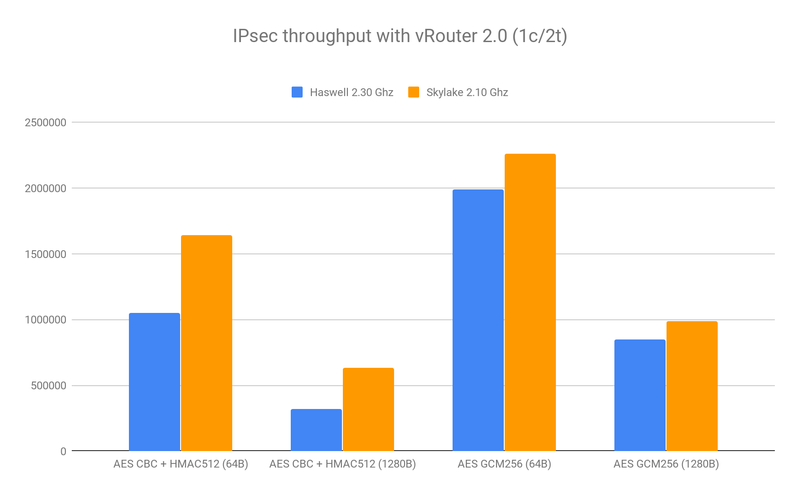 Many of our customers have been running their favorite software-based IPsec VPN gateways on their good friend Haswell for a while, and now are considering the option to upgrade to a Skylake. It sounds attractive, provided that it can bring some real performance improvements. After testing the same 6WIND vRouter software appliance, we see almost 2X for AES-CBC+HMAC and nearly 17% for AES GCM. Without any change in the vRouter software, the IPsec performance is greatly improved by just updating the server to the latest hardware. Looking forward Cascade Lake and the promising next generation Ice Lake should boost GCM again thanks to the new VAES and VMLUQ instructions. If you are considering your upgrade path, contact us today. I’d be pleased to discuss your vRouter transition to Skylake or the next x86 platform of your choice. Software makes the transition easy while satisfying to watch your IPsec VPN performance increase.